Our goal is to share fun reading material that inspires deeper thought for children. We hope to add to children's enjoyment of the world God created! image © Laura Cooper, 2013. The copyright for all poems (including limericks and riddles) and original stories included on this website, excepting only those specifically attributed to other authors, belongs to Martina Ann Smith. © Martina Ann Smith, 2013. The logo copyright belongs to Laura Cooper, and the illustrations from the books shown have copyrights belonging to their respective illustrators. 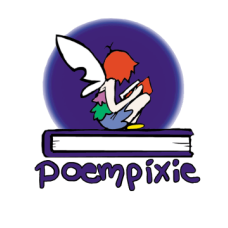 The copyright for each submitted poem on this website belongs to the child who wrote the poem.